Admixture for cementitious grouts for pre-stressing cables. Dosage: 0.5-1.5% over cement weight. 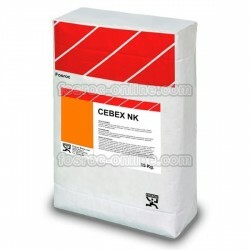 Cebex NK is supplied as a powder additive. The material is a combination of additives that allow the use of a low water / cement ratio with the consequent increase in strength and durability. Cebex NK is an additive for cement slurries where a low water / cement ratio is required. Improves fluidity and pumping and eliminates segregation. It is normally used for grouting vertically prestressed cable ducts, anchor rod grout and long and vertical wire anchors, where full protection against corrosion and even distribution of tension is required. The expansion system compensates for plastic retraction and settling in cementitious grouts. The reduction of the water / cement ratio guarantees a low permeability and a long service life. Provides a high fluidity slurry with low water / cement ratio, to facilitate placement or injection. No ferric content, which can cause corrosion, staining or deterioration. 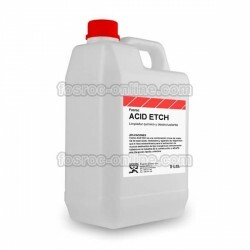 Its composition allows the development of high early resistance without the use of chlorides. Cebex NK complies with UNE-EN 934-4: 2010 Table 1 as an additive for grout. Tests carried out on cement slurries show that these slurries meet the requirements specified in the standard UNE-EN445: 2010 "Pretender tendon grouts. "Test Methods".